A quick cooking recipe for a summer day. It is entirely too hot in my part of California to cook the way I like – with several burners & the oven going. Today we topped out at 109.8 degrees! I needed to make something for dinner that wasn’t going to add to the heat in my hot-box house, and I certainly wasn’t going to stand over a hot grill. This only took one burner and about 20 minutes. In a large skillet over medium high heat, warm up 2 Tbs of vegetable oil. Dice one small onion and 2 sweet bell peppers. Salt & pepper well. Cook until they begin to soften, but still have crunch. Remove from pan, set aside. 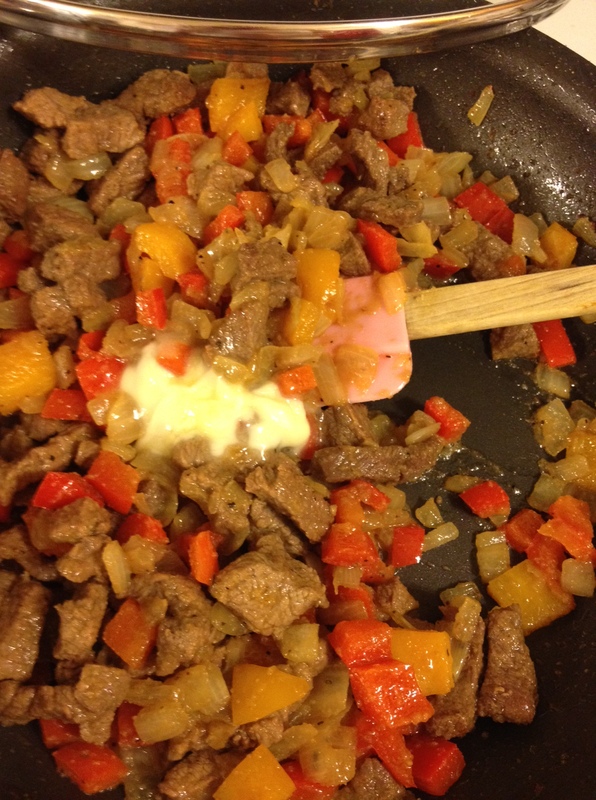 Add 2 Tbs vegetable oil and about 2/3 lb sirloin steak, cut into small chunks. Salt and pepper. 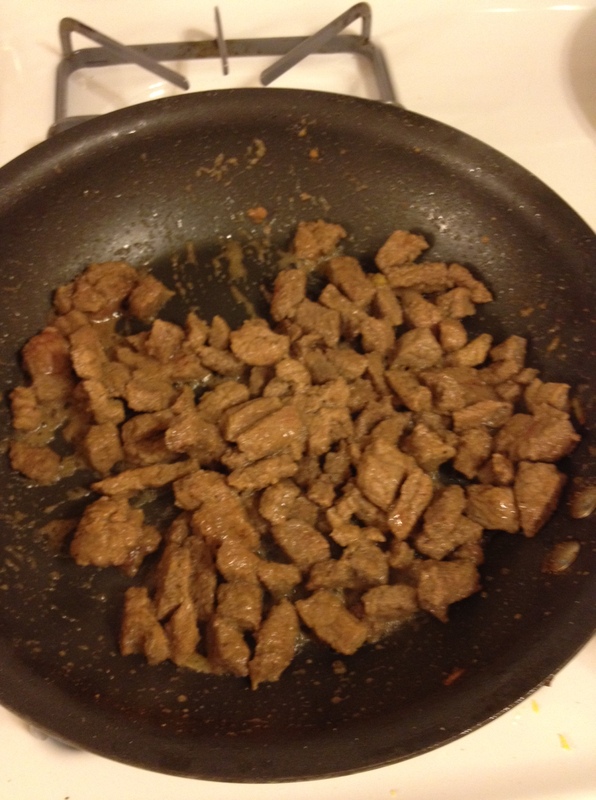 When meat is completely brown outside, add in 1 tsp garlic powder and 1 Tbs onion powder. 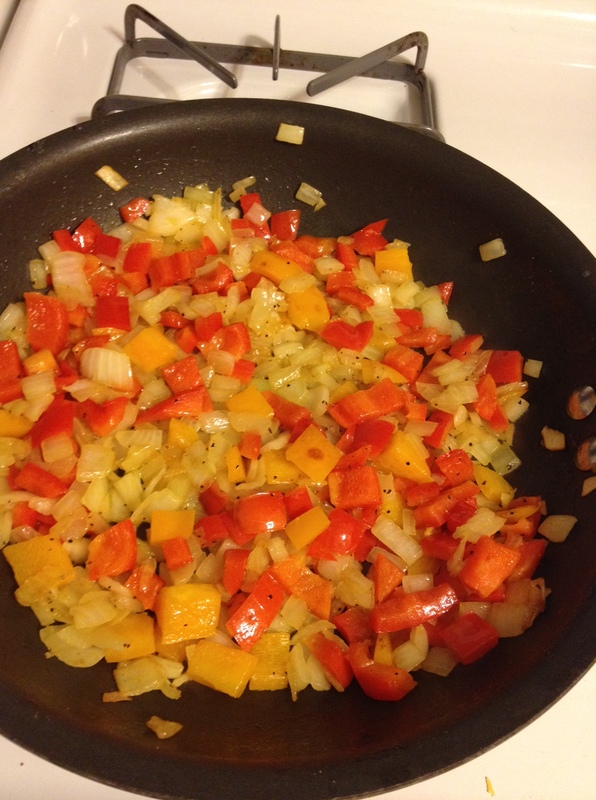 Add onion and peppers back in, mix well. Stir in 1 Tbs butter. Cover and allow to cook covered for two minutes, then uncover and pour in BBQ sauce. Remove from heat as soon as BBQ sauce is thoroughly heated. 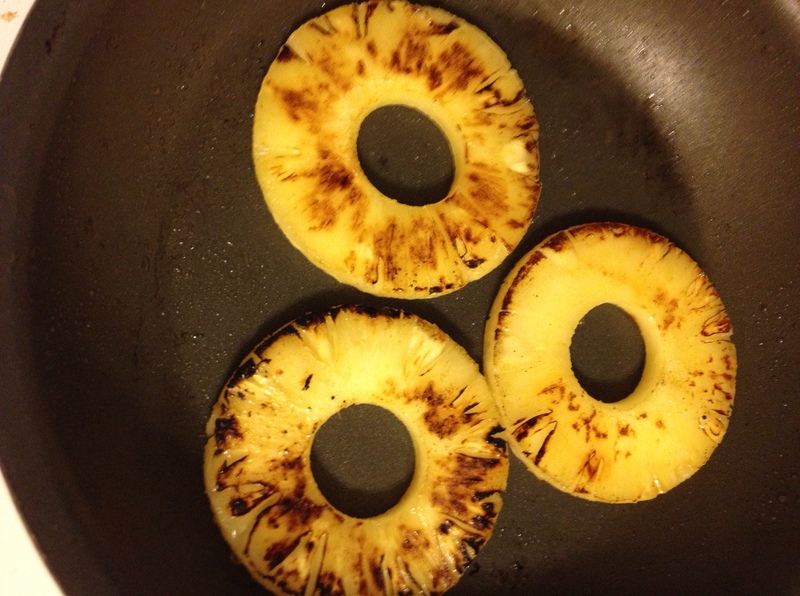 To grill your pineapple: place a small amount of butter or cooking spray into a clean skillet over medium-high heat. Cook each pineapple slice until nicely browned on each side. 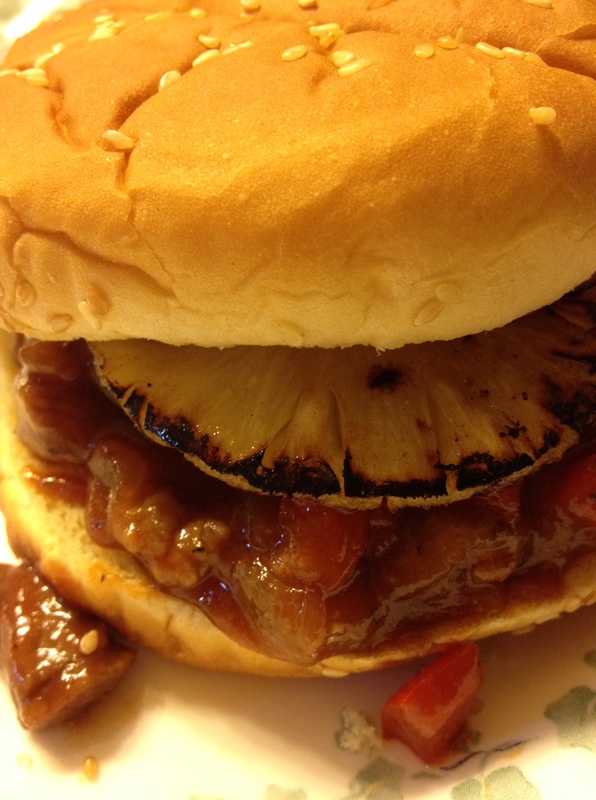 Grilling pineapple changes the flavor of the fruit and makes for amazing burger and sandwich fixins. Have a wonderful day! Happy Father’s Day to all the Dads out there! Tags: bbq sirloin sandwiches, beef recipes, easy dinners, food, grilled pineapple, onion, recipes, sandwiches, sweet bell pepper. Bookmark the permalink.